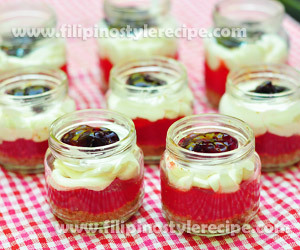 Filipino Style Recipe: Strawberry Panna Cotta is another variety of popular panna cotta dessert. My version of strawberry panna cotta is simple yet looks very elegant. 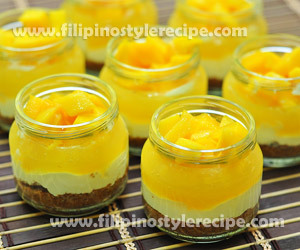 This dessert will definitely impress your guests. 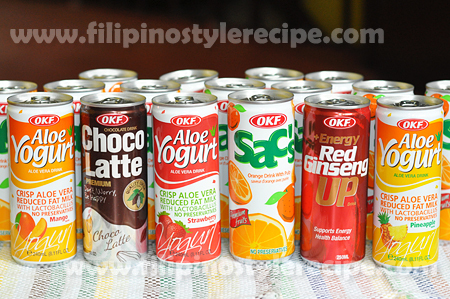 It is very light and refreshing to the taste buds. 1. In a mixing bowl, combine the crushed grahams sugar and melted butter. Press onto the bottom of the serving glass around 2 tablespoon each. 2. Add the whipped cream on the next layer until half of the glass. 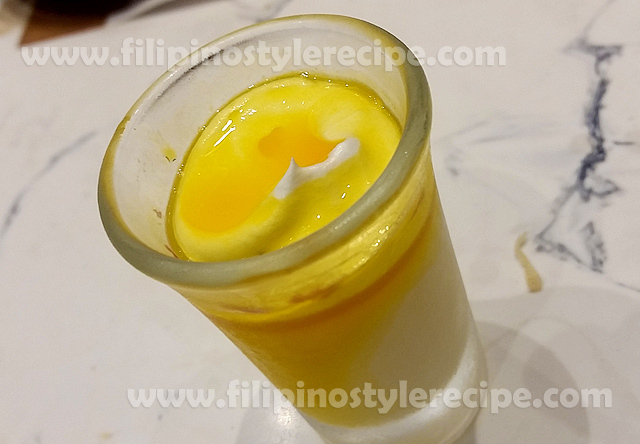 You can use a plastic bag and cut on the edge to pipe the cream easily into the glass. 3. Prepare the pudding mix according package instruction. Pour on top of the whipped cream until almots full. Chill until the pudding is set. Top with strawberry pie filling. 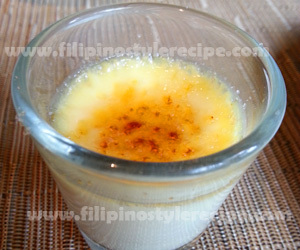 Filipino Style Recipe: My version of Mango Panna Cotta is very simple to prepare yet looks very elegant. This dessert will definitely impress your guests. It is very light and refreshing to the taste buds. 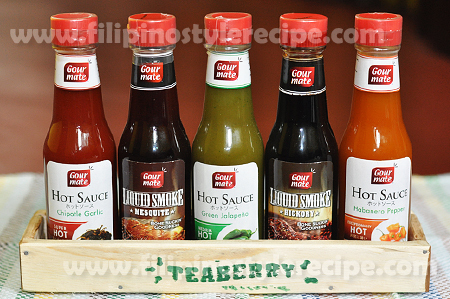 Dont be intimidated by the name and try it! 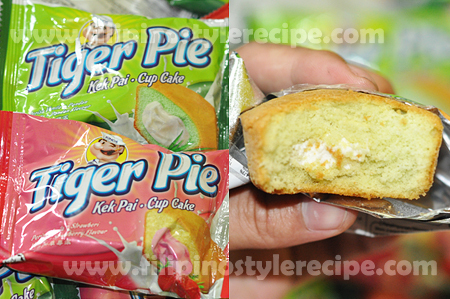 You may replace the whipped cream layer with coconut milk and agar agar. 3. Prepare the pudding mix according package instruction. Pour on top of the whiped cream until almots full. Chill until the pudding is set. Top with the ripe mango.